Excellent solutions for reducing the condensate effect and remarkable fuel savings. 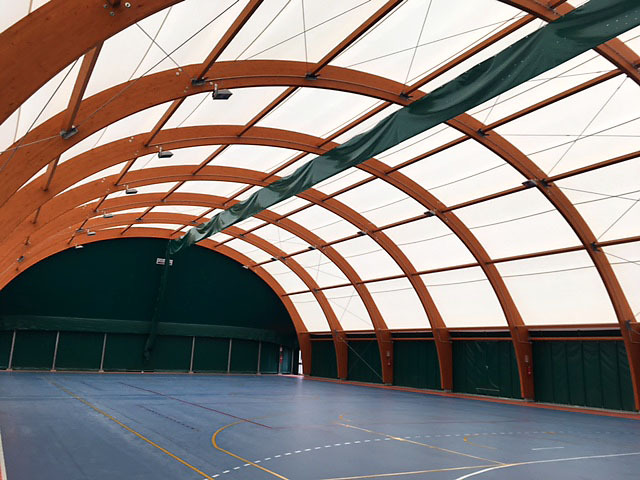 The covers, made for sports facilities, above all but in general for any type of cover, can be equipped with a heating and destratification system. It is known that the heat, going up to the top, will remain if it is not pushed by an external force down. 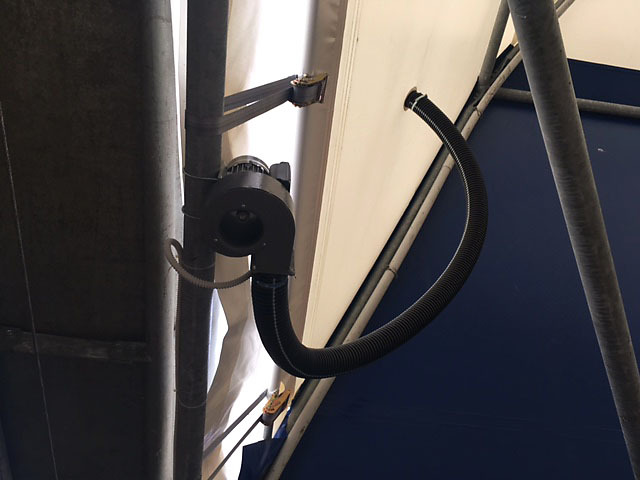 In this regard, in order to allow for the distribution and destratification of the air circulating internally, a tubular dual coated membrane PVC with a high-tenacity, self-extinguishing and incombustible (similar to the PVC coating membrane) textured insert is made, suitably fixed and fixed by cable steel and tensioners, called “destratifier”. 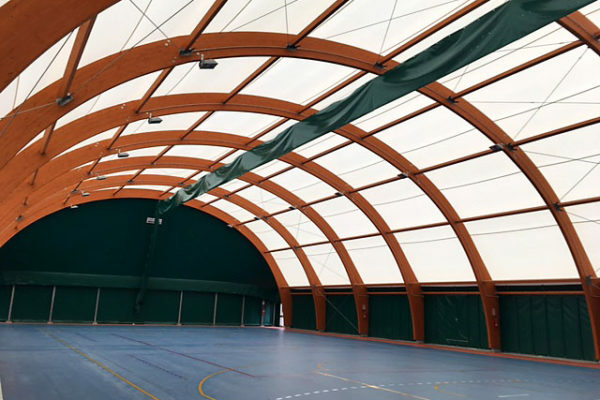 The PVC fabric used because of its tensile strength is able to withstand the stresses that are produced by the air that is pushed inside and that radiates into the environment through holes that are practiced throughout its length. The inductive effect makes it possible to move, thanks to the electric fan, a much greater air volume than the flow rate of the same, with the following advantages: homogenization in the distribution of ambient air, high degree of mixing / air handling which allows to eliminate the phenomenon of warm air stratification. The high induction system uses the “Venturi” effect that is created around the diffusers to greatly limit the condensate phenomenon on the surface of the membrane, respecting the air velocity at man height according to norms (UNI 10339 – EN 13182 ). The air diffused from the canal can be heated by a gas generator or LPG gas generator, which is positioned externally to the structure and connected via delivery and recovery channels. 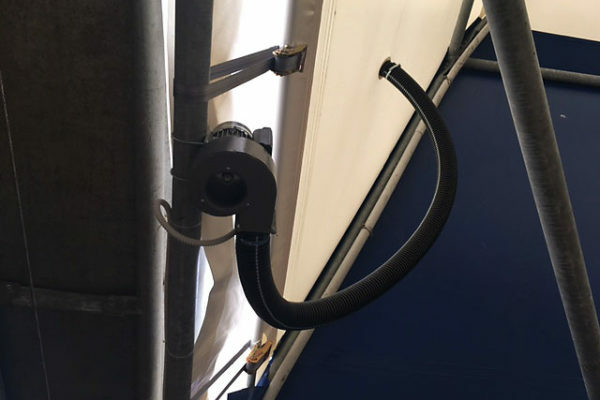 The generators are built in one-piece structure for outside installation and are equipped with a special containment box and generator and burner protection. In this way, the average air temperature is significantly reduced with the consequent fuel saving. Moreover, the containment of the average temperature of the environment at near values ? ?of use, allows a lower presence of water contained in the air and consequently a significant reduction of the condensation effect occurring within the cover with the various changes of weather conditions. 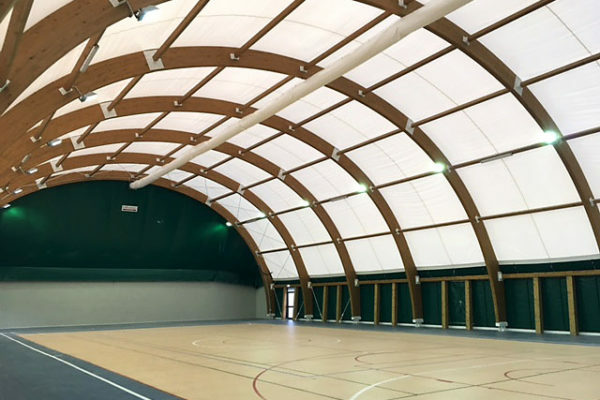 Our sales manager – for any type of request and information, based on respect of any specifications – is able to recommend the most effective solution for the sports facility concerned by the works.